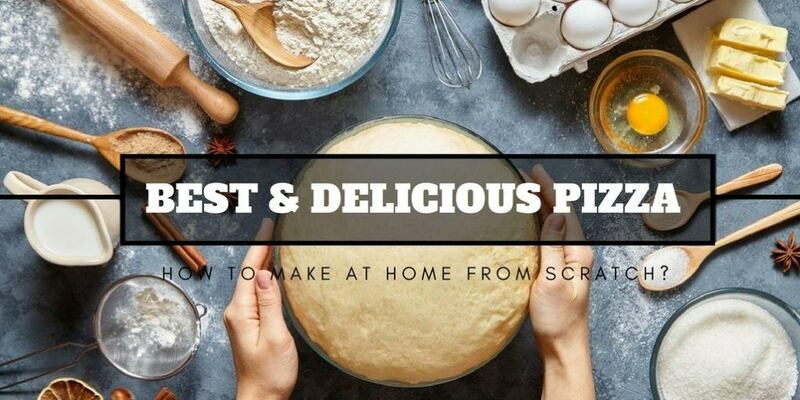 →How To Make The Best And Delicious Pizza At Home From Scratch? What do you know about the homemade pizza? How is it made? You can easily make a very simple or complicated pizza at home. 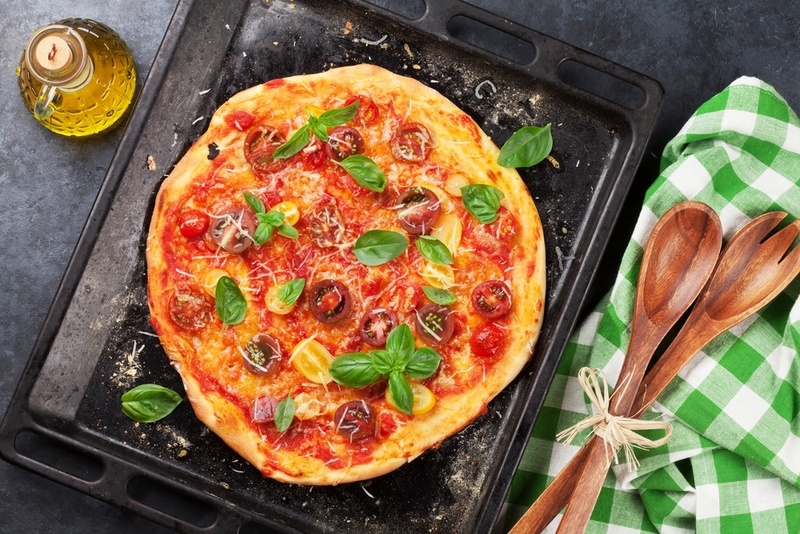 You don’t have to buy ﻿﻿﻿pizza to enjoy, you can easily make a perfect one at home. You only need the dough for the crust, sauce, and the toppings. 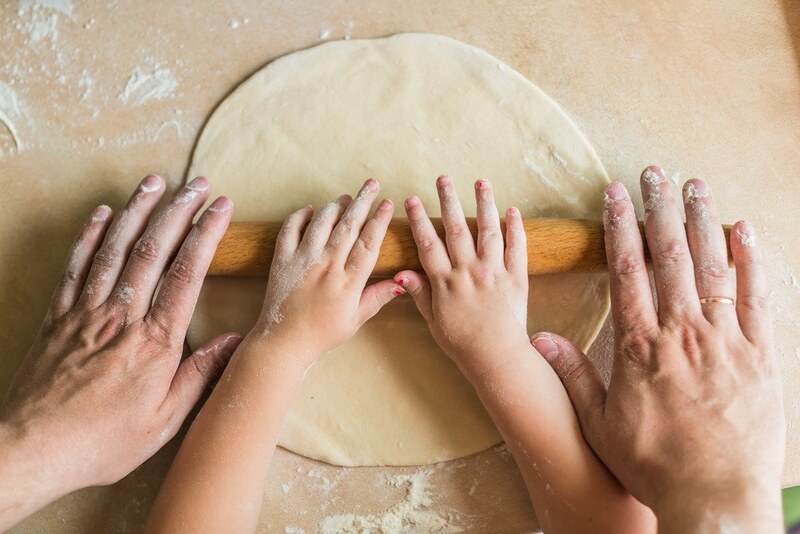 Making pizza is not a complicated process. There are various pizzas that you can make at home. The toppings are endless. They are all unique. Before you make a complicated pizza, you should understand the basics first. 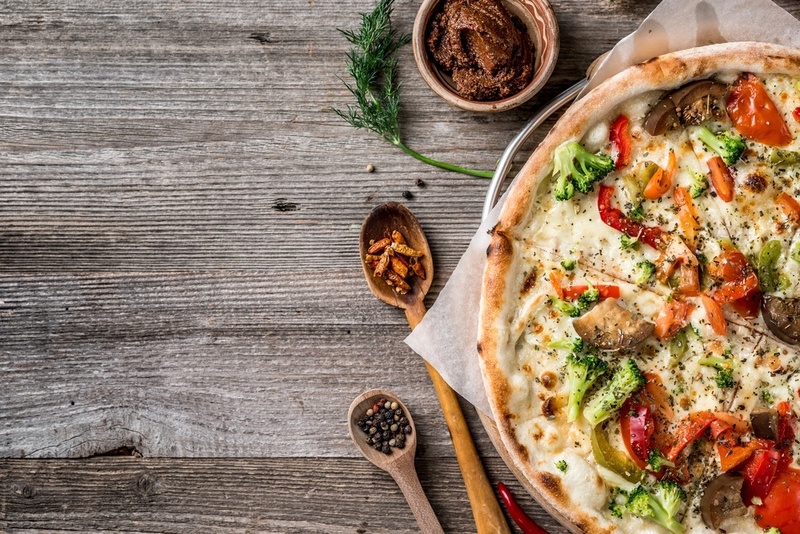 Before you make your pizza at home, the following are some of the things that you should understand. The crust is the heart of the best pizza. You can get the dough from the store or make it yourself and keep it in the freezer. 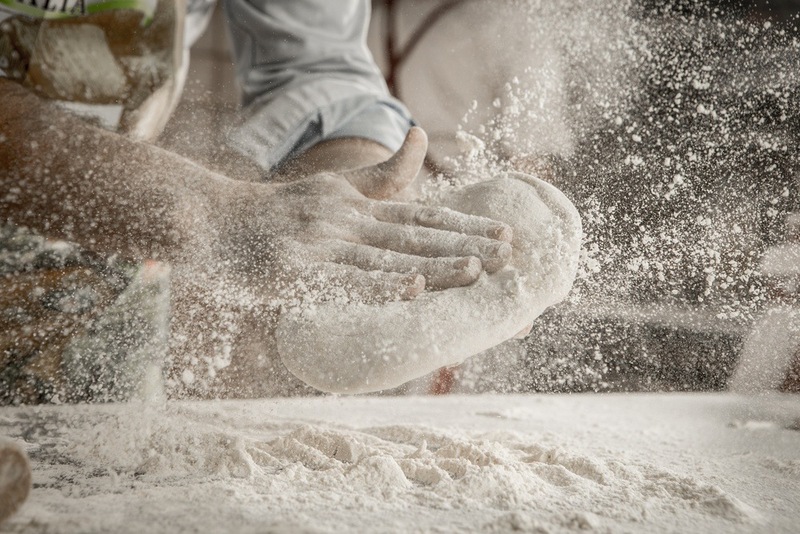 If you don’t have time to make the dough, just buy from the local stores or supermarket. When making the dough, ensure that it is springy. It should be soft and easier to stretch. If you add flour, it may be hard. Always use oil and not flour when handling the dough. The best pizza should have an intensity that is bright which can be muted when cooking. You can use a jarred sauce if you are in a hurry, you can make a better sauce if you have 3 more minutes. You can blend canned tomatoe﻿s with some vinegar and sugar. this sauce is easier and simple to make. When making a pizza don’t use more ingredients for toppings. 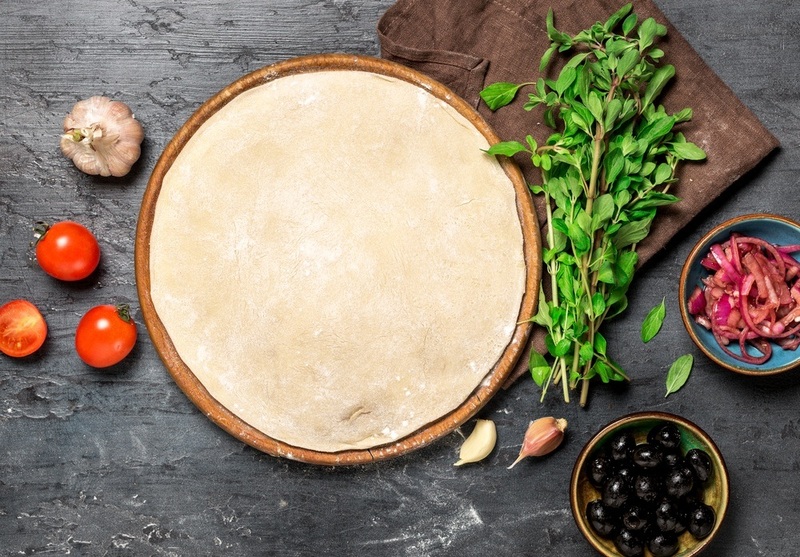 Chances may be that you have everything you need to make the best pizza. Don’t spend too much on toppings. You can use parmesan, red peppers, cooked beef crumbles, parsley stems, and others. you don’t need many of the toppings. A hotter oven will lead to a better pizza. Ensure that you turn the dial all the way over and heat the oven at least 20 minutes. You can use the skillet on the stovetop and make the best pizza. You don’t necessarily need an oven to make a pizza. After making the pizza, it is important to know how to reheat the leftovers. Which is the best way that you can use to reheat pizza pieces? Learn how to reheat the pieces properly. 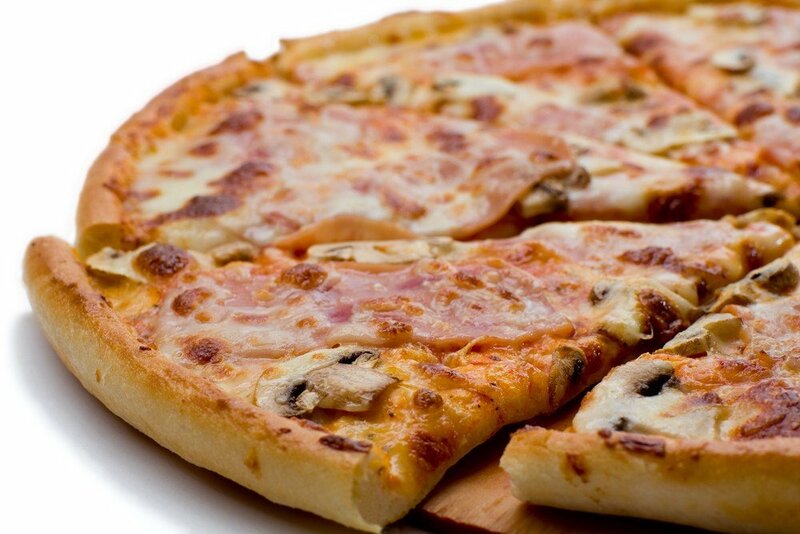 There are different types of pizzas in the world today. This is due to numerous changes that people have made. It may be hard to decide the type of pizza to make at home. The following are some of the pizzas that you can try at home. This is the original pizza. It is a flatbread topped with garlic, tomatoes, cheese, and oil. It is easier and simple to make at home. it can be modified easily. You can make pizza marinara which has garlic, tomatoes, oregano, and oil. 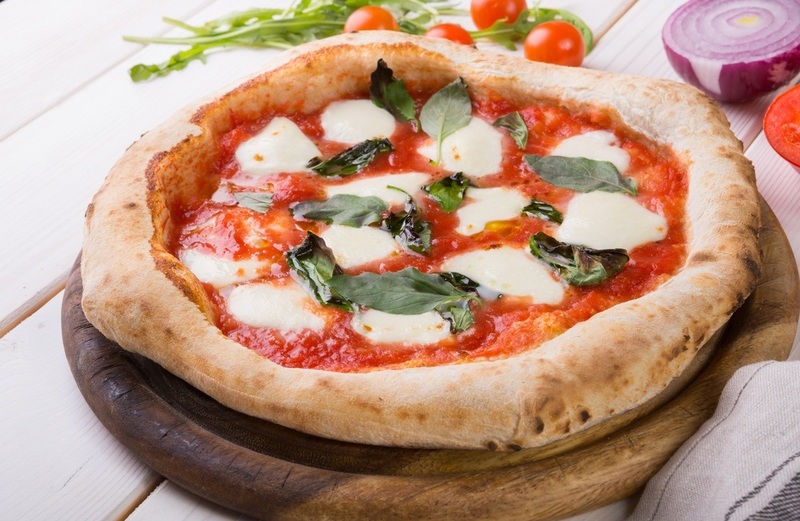 Pizza Margherita has sliced mozzarella, tomatoes, basil, and oil. The crust is thin, it cannot support more toppings. It is also known as the deep-dish pizza. It was first made in Chicago. The crust is thick with raised edges. 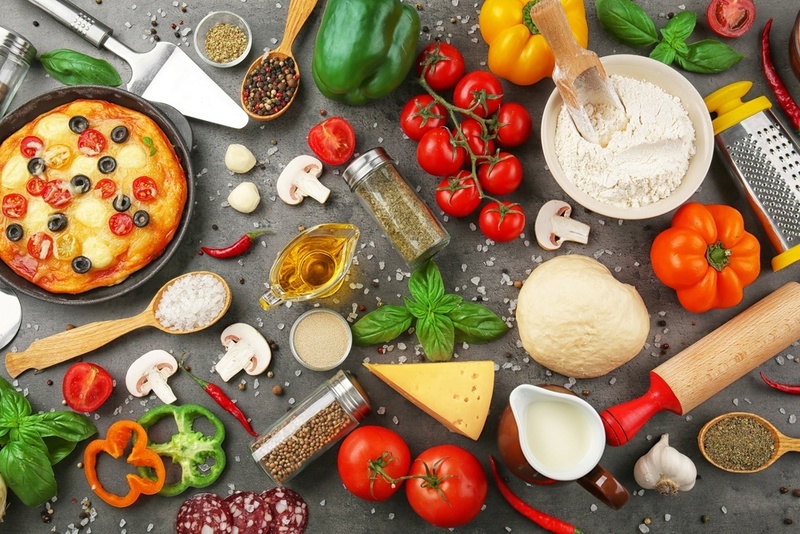 You can use several toppings like ground meat, cheese, sausage, mushrooms, onion, green peppers, vegetables, crushed tomatoes, tomato sauce, and others. The toppings are not necessarily on top. You can place them underneath the tomato sauce. The crust is a little bit thick to hold more toppings. You can use sausage, pepperoni, anchovies, mushrooms, oregano, cheese, red pepper flakes, garlic powder, and more. This is a square cut pizza with a very thick crust. The consistency is spongier as compared to others. it is topped with tomato sauce, anchovies, her﻿﻿b﻿﻿s, onions, and bread crumbs. You can also add cheese if you like. Before you bake, you can smear the baking dish with olive oil. This pizza has a puffier crust which is chewier than others. The crust is not very thick. It is made with a tomato paste that is tangy and oregano flavor that is strong. It is topped with cheddar and mozzarella cheese. You can also add what you like on top. Bake the pizza in a greased round pan. Use olive oil to grease the pan. This pizza has no specific toppings. When making this, you should be creative to make it delicious. You can either make a thick or thin crust. This is a square cut pizza with a thick crust. It uses tomato sauce that is tangy and sweet. You can also use cheese and other toppings with the sauce on top. Some people use sausage, ground beef, and mozzarella cheese. Serve it at room temperature. The following are some of the recipes that you can try. They are simple and easier to follow. Mix the flour, salt, sugar, baking powder and the baking soda in a mixing bowl. Make a well in the middle and add a cup of water, yogurt, and oil. Knead the mixture to make a smooth and soft dough. If it is hard, you can add some water to make it smooth, soft, and elastic. Use oil to coat the dough and place it in a bowl. Cover the bowl with a cling wrap. Store the dough in a warm place for about 8 hours. After the 8 hours, take it out. Apply oil on your hands before you knead the dough again. Divide the dough into 5 pieces. Shape them into balls and set them aside for about 10 minutes. Cut the vegetables and set them aside. Put your pan over medium heat. Roll one ball into a circle, 8-inch. You can use flour or oil to roll. Use a fork to prick the rolled dough and place it on the hot pan. Cook the dough until it gets some brown spots on the bottom side. Turn it over when it is brown and spread the pizza sauce, the vegetables, the cheese, and the Italian seasoning. Put a little oil on the sides and cover. Cook until the cheese melts and the pizza is brown and crispy. This can take up to 5 minutes. Turn the heat off as soon as the base turns brown. Allow it to cool slightly and serve. Put the dry yeast in 30ml of warm water. Mix it well until it dissolves in water completely. Sieve the flour in a large bowl and add salt, the yeast mixture, and cooking oil. 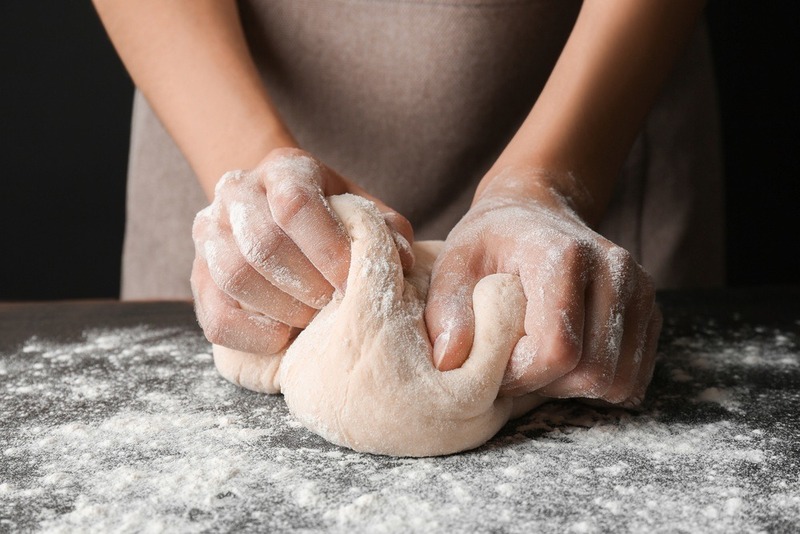 To make a smooth dough, add water gradually and continue kneading. This will take about 5 minutes to get a smooth and soft dough. Grease a bowl with oil and put the dough. Roll it over to ensure that it is covered with the oil. Cover the bowl and set it aside for fermentation. Under room temperature, this should take about an hour. If the temperature is low, increase the fermentation time proportionally. If it is high, reduce the time proportionally. Open the bowl and check if the dough has doubled. This means that the dough has fermented. 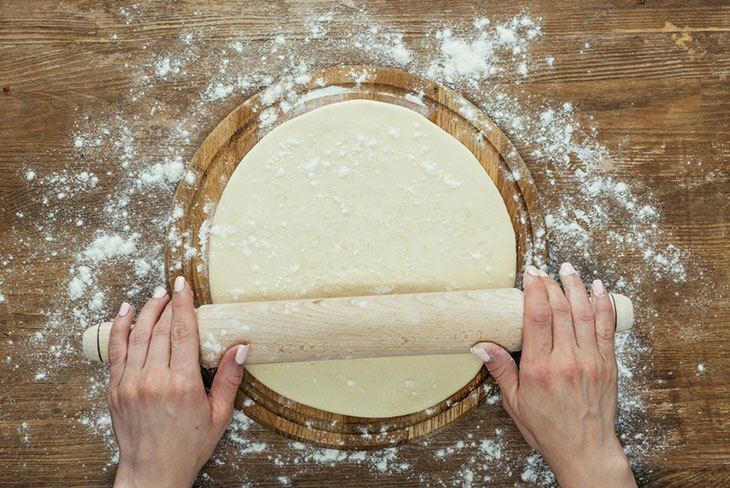 Use a rolling pin and roll the dough into a round shape. You can make it a ½ inch thick with a diameter of 9 inches. Grease your round baking dish with a ½ tablespoon of oil. Ensure that it is greased well. Put the rolled dough into the baking dish that you greased. Use a knife to make some small cuts on the surface. This will ensure that the melted cheese reaches the inner parts. Preheat the microwave. Preheating will help to achieve the desired results. Temperatures should be high during the baking time. Just press the preheat button on your microwave until it reaches 392 degrees F.
Spread the pizza sauce on the base and avoid the corners. You can use tomato sauce if you don’t have the pizza sauce. Add the vegetables and sprinkle with a ¼ teaspoon of salt. Grate the mozzarella cheese over the vegetables. You can also use parmesan or cheddar cheese. Put a ½ tablespoon of oil on top of the topping. Decorate your pizza as you want. You can start with the vegetables then the cheese. You can also start with the cheese and then the vegetables. Activate the convection mode which works like an ove﻿﻿n. Put the pizza in the microwave and close the door. Bake for 20 minutes at 392 degrees F.
Use gloves that are microwave-safe to take out the pizza. Use a p﻿izza ﻿c﻿utter to cut it into pieces and serve. Dissolve the dry yeast in lukewarm water. Add the cooking oil and then pour into the flour mixture. 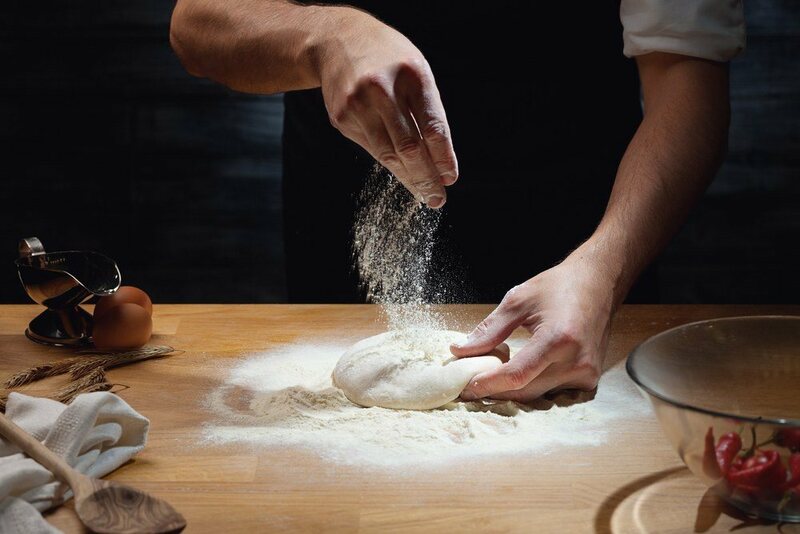 Use your hands to knead for about 3 minutes. Allow the mixture to sit for about 15 minutes. Knead it again for about 3 minutes and divide it into 2 pieces. Shape them into balls. Put them on a floured surface and use a damp cloth to cover them for about 4 hours at room temperature. When ready, use your fingers to stretch and the hands to shape. You can make rounds or squares. Add your favorite toppings and bake. If you are a vegan you can try this. It is simple and healthier. 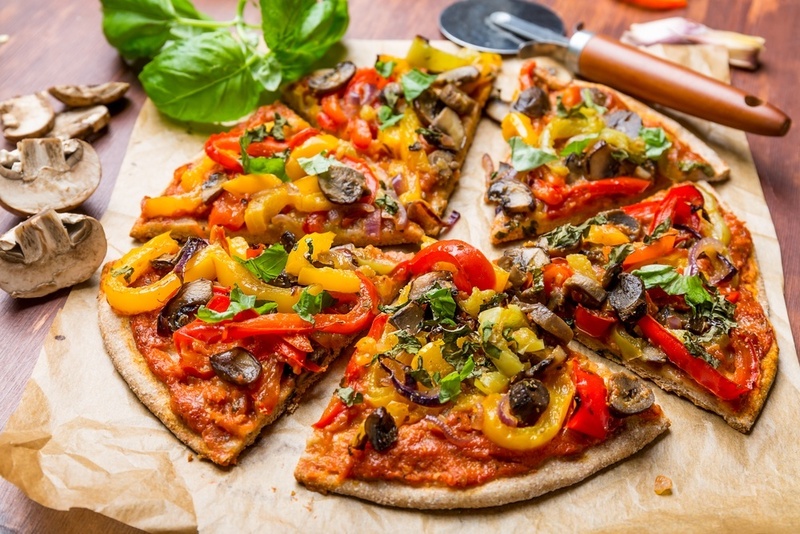 It is made with sautéed veggies, tomato sauce, vegan parmesan cheese, and garlic-herb crust. Preheat the oven up to 425 degrees F. Put the rack in the middle of the oven. Heat a large skillet over medium heat. Add a tablespoon of olive oil then peppers and onion. Season with herbs and salt as you stir. Cook for about 15 minutes. In the last few minutes, add the mushrooms and set the mixture aside. Mix the tomato sauce with salt and other seasonings to taste. Set it aside. If you are using tomato paste, you can add water to make it thin. Process the parmesan cheese in the processor with salt, garlic powder, and the yeast. When ready, put the mixture in a jar and keep it in the fridge. Prepare the dough and roll it on a surface with flour and place on a baking shee﻿t lined with parchment. The pizza will be baked with the parchment paper to ensure that the crust is crispy. Top the rolled dough with tomato sauce, the sautéed veggies, and the parmesan cheese. Slide the pizza into the oven rack together with the parchment paper. The pizza will fall through without the parchment. Bake it for about 20 minutes. It should be golden brown and crispy. When ready, serve with dried oregano, red pepper flakes, and the remaining parmesan cheese. Overs can be reheated easily. There are different types of pizza crust that you can make at home. 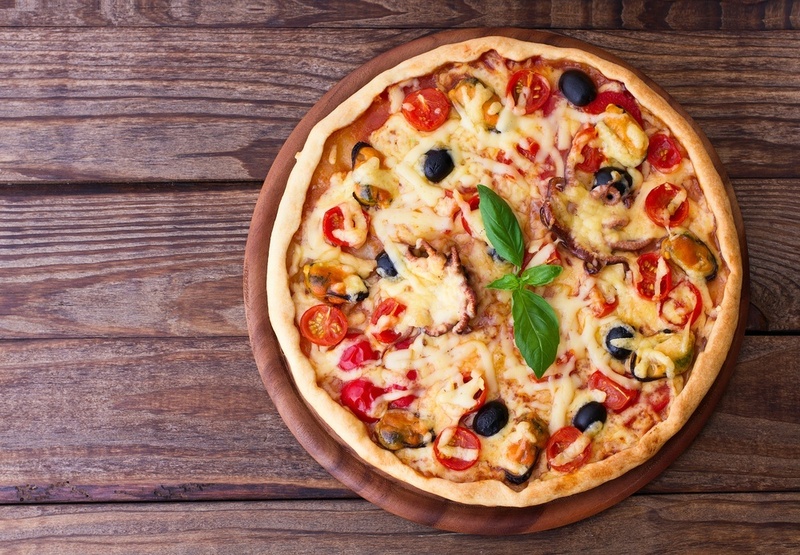 Most of the Italian pizzas have a thin crust. Some of them have a crispy outside, but pliable and soft. They can be folded easily. Other pizzas are characterized by a thin, round, cracker-like, unleavened crust. The slices can be cut into squares, wedges, or rectangles. 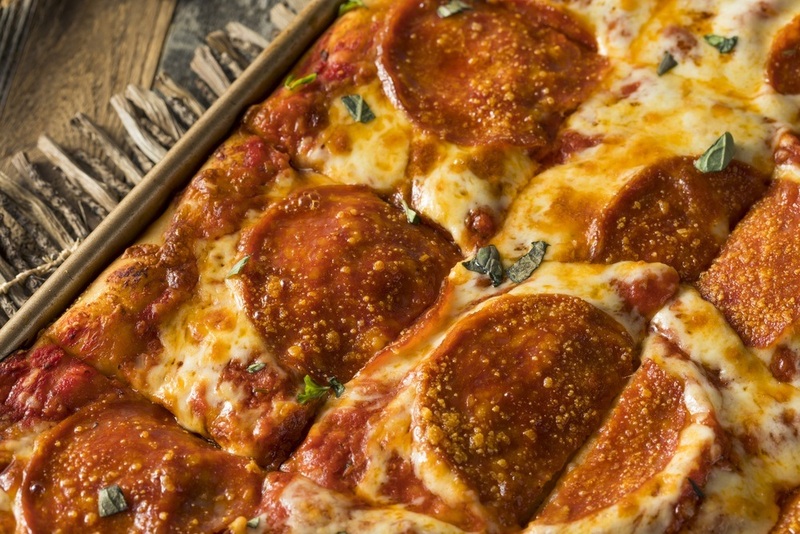 The crust is ideal for personal sized pizza and appetizers. This is because it cannot fill you like the other crusts. 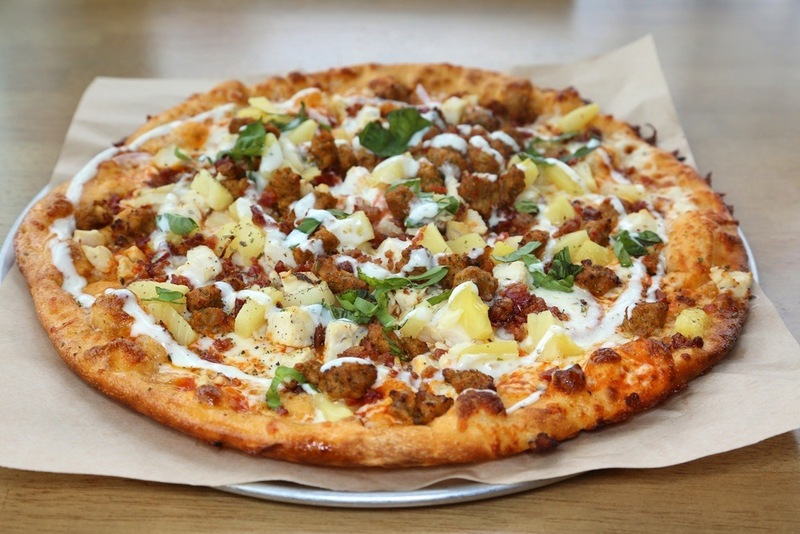 The crust has an appealing for trendy and gourmet toppings. 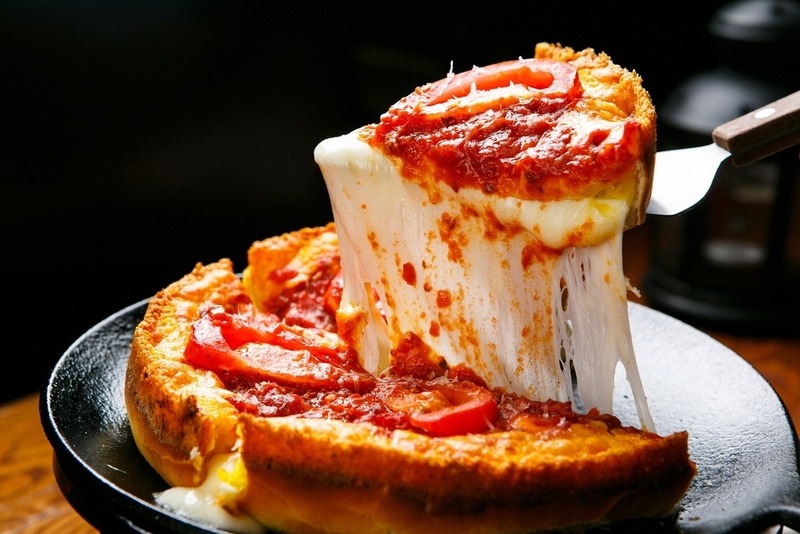 This is found in the traditional pan pizza, deep-dish pizza, and the Sicilian pizza. 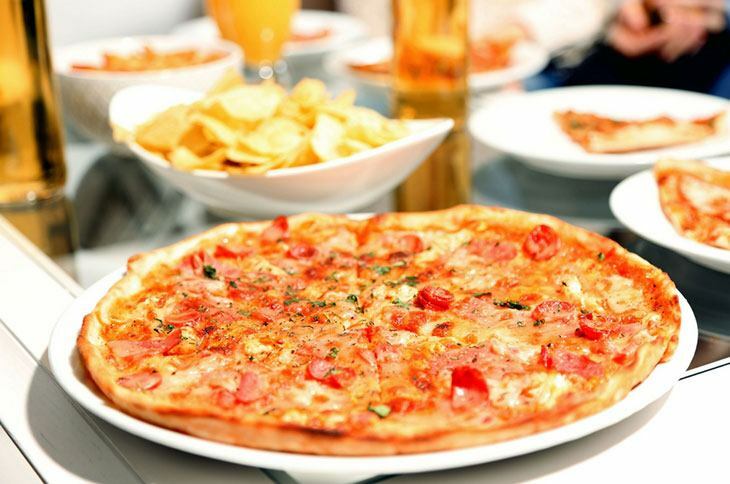 The traditional pan pizza crust is characterized by the pan-fried and buttery taste. You can easily add custom flavors. The deep-dish pizza crust accommodates more toppings, sauce, and cheese. 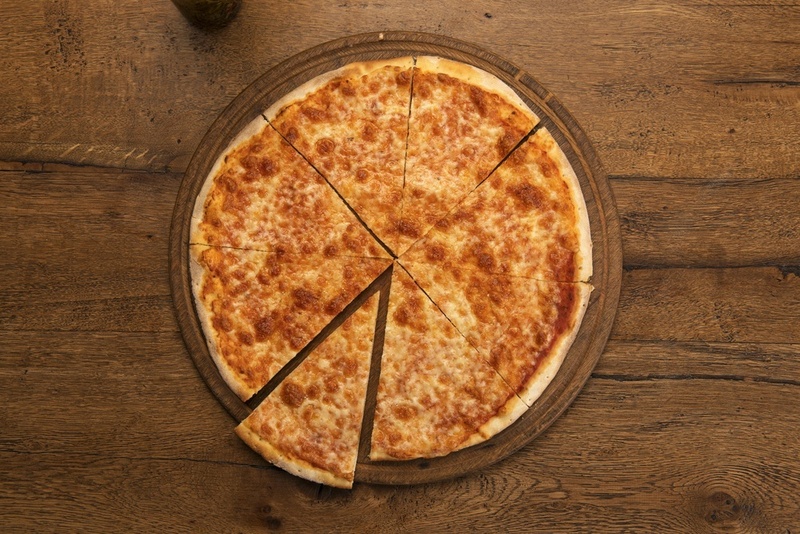 The slices can have a thickness of 2 inches. You can use semolina, corn meal, or food color to give it the unique yellow color, texture, and taste. The crust has no sauce. It is thick and before it is baked, it is brushed with oil. The oil is covered with cheeses, herbs, spices, and other toppings. This allows the flavor and texture of the crust to shine. This is ideal for toppings that are not traditional like the breakfast and prosciutto pizzas. You can try any of the above crusts. This will help you to enjoy a variety of crusts. When making pizza, ensure that you avoid the following mistakes. 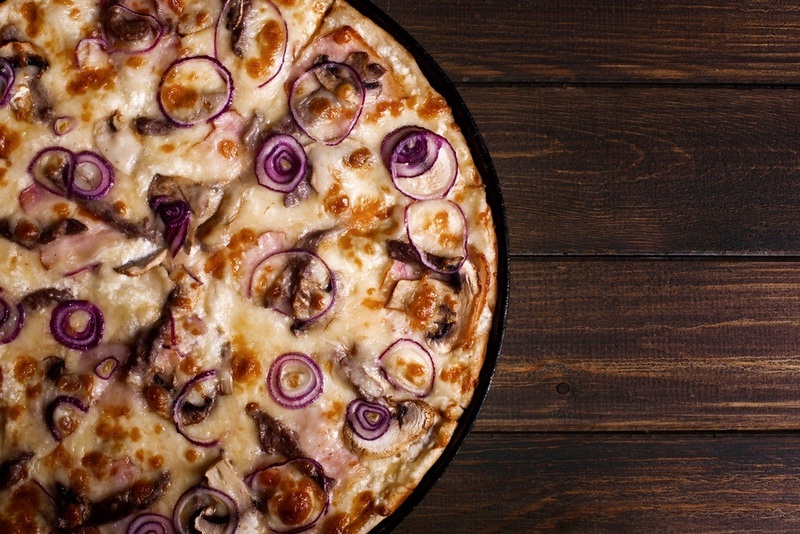 A crispy and thin crust pizza is nice, but there is a limit on how thin you can make it. If the dough is too thin, it may not be able to support the toppings. The crust of the pizza should be strong enough to hold the toppings. Stretch the dough gently. Use your fingers to stretch it. You can also use a rolling pin to roll if necessary. Using many toppings can ruin your nice pizza. More toppings will slow the cooking process. The pizza may cook unevenly with undercooked toppings and a burnt or overcooked crust. 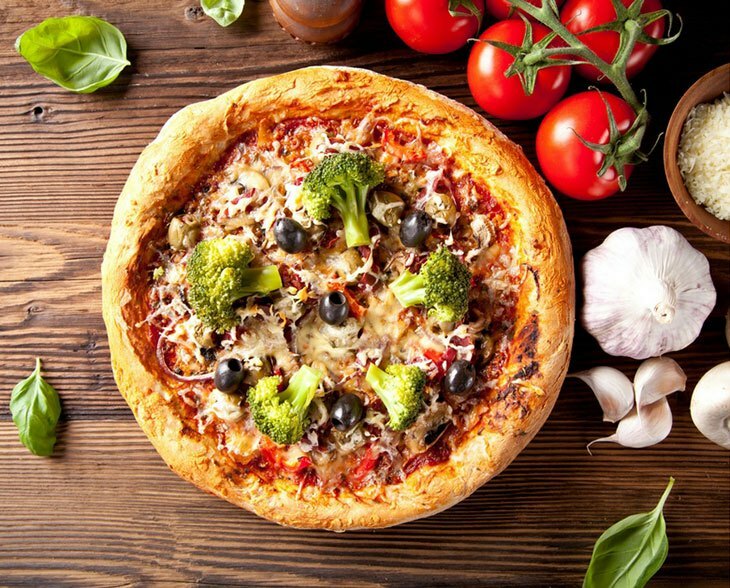 To get the best results, ensure that the pizza is not overloaded with toppings. Use few toppings and spread them across the dough evenly. On top of the toppings add your favorite cheese. Most of the toppings can used without cooking. Some need to be cooked before they are used as pizza toppings. Some of them include the ground meat and some vegetables like the broccoli. 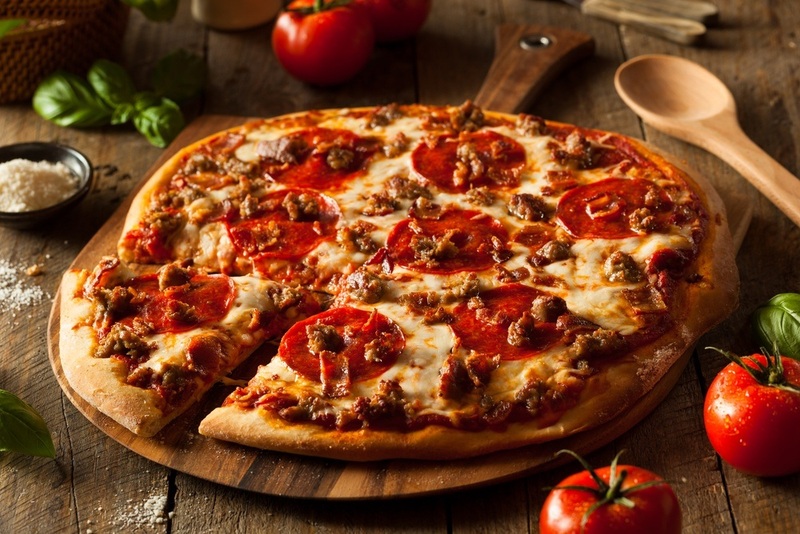 Even if you are baking your pizza at high temperatures, some meats cannot be cooked fully. 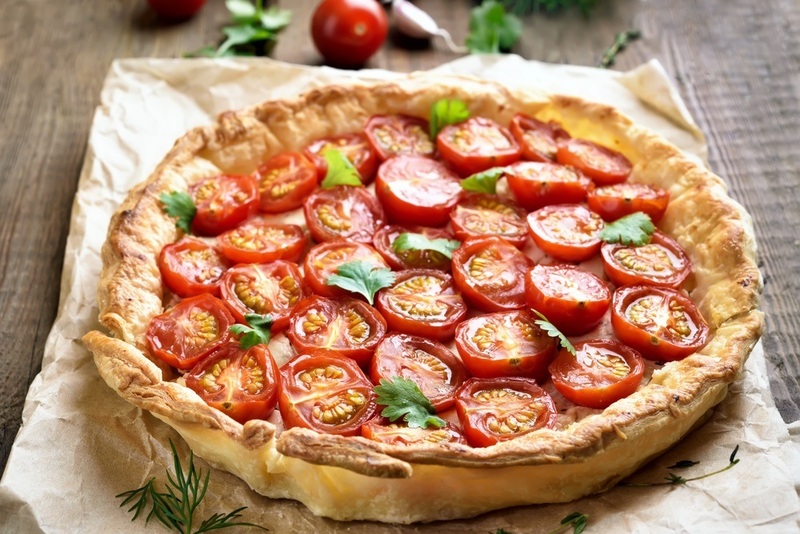 Ensure that such toppings are pre-cooked well before baking them. Other toppings that need to be precooked include sausages, bacon, chicken, or steak. 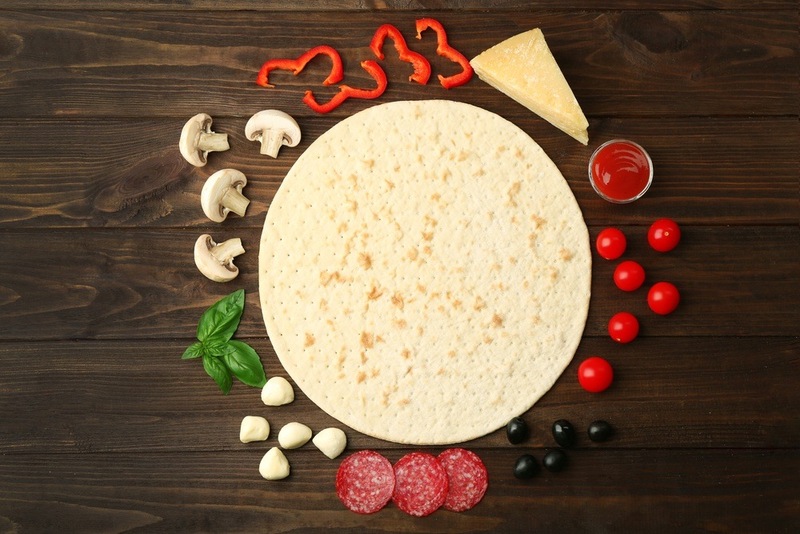 When making pizza, you can use a pizza stone or a baking dish or a p﻿izza ﻿p﻿eel . Before making the pizza, the baking dish or pizza stone needs some attention. This will ensure that you get a crust that you get a crust that is crispy. Before you bake, ensure that the stone is preheated in the oven at high temperatures. This can take up to 20 minutes. The baking dish can be preheated or greased. If you cook your pizza at low temperatures, it will have overcooked toppings and a soggy crust. To get the best results, ensure that you set the oven at high temperatures all through the baking process. Too much cheese can ruin your pizza. Although the pizza can hold too much of the cheese, it is not necessary to use too much. The pizza will be greasy. The cheese should not cover the sauce. The pizza may fall apart due to too much weight. 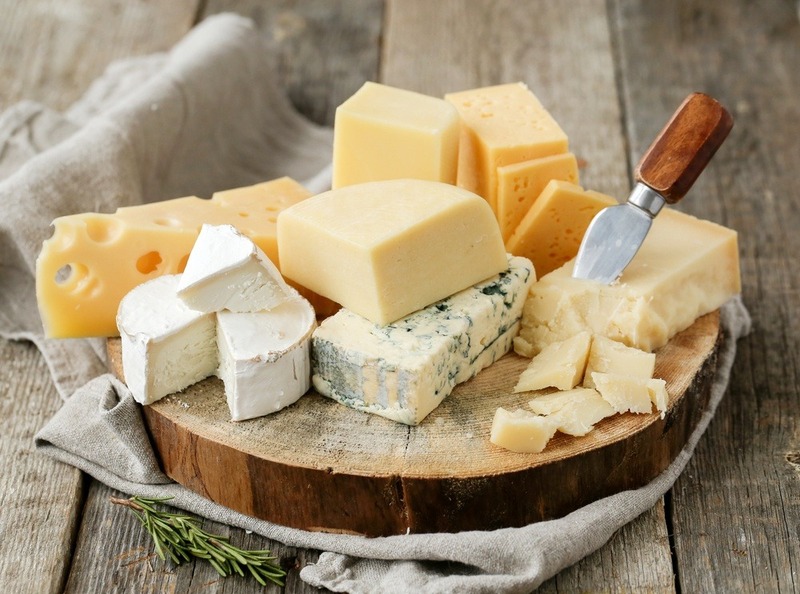 Ensure that you use the right amount of cheese to get the best results. When it comes to pizza, patience is important. Allowing the pizza cool will allow the cheese to set. This will make a great difference. After baking the pizza, let it cool for about 3 minutes. You will easily avoid burning your mouth. 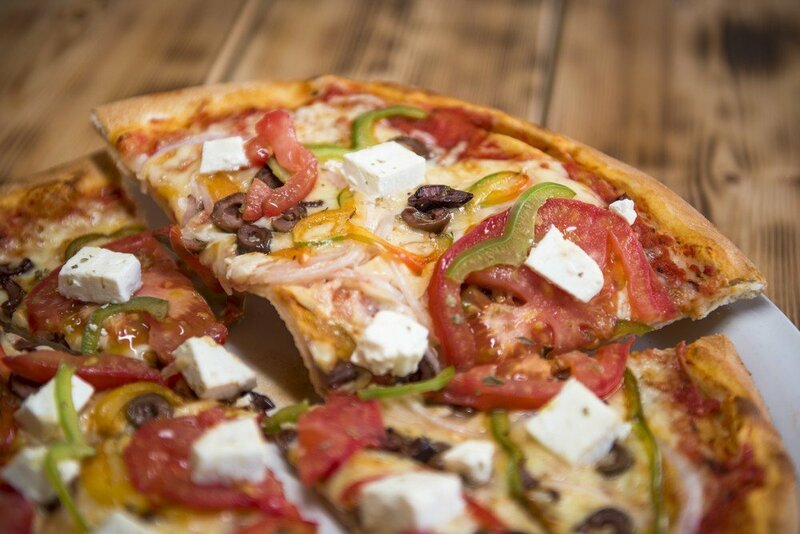 Everyone loves a delicious pizza. 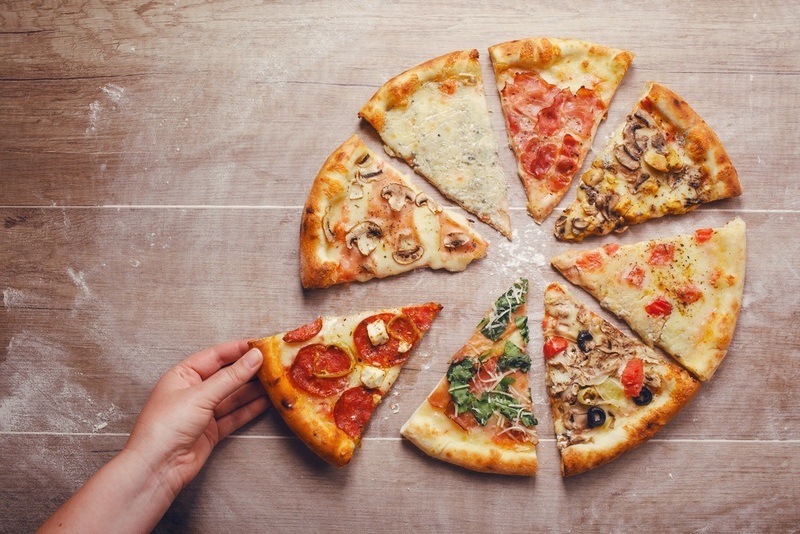 There are different toppings that you can use to eat a different pizza every day. 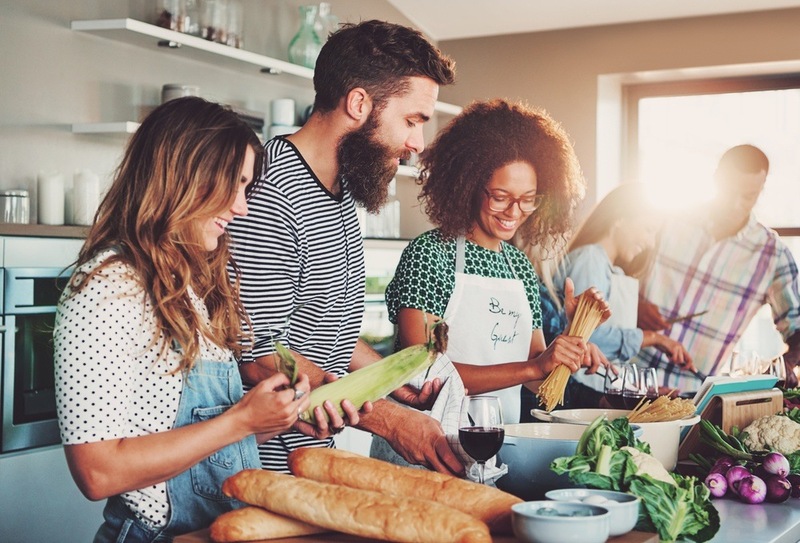 Whether you like a thick crust, a thin crust, meat pizza, vegan pizza, or the pineapple one, the following are some of the tips that you can use to make the best pizza at home. 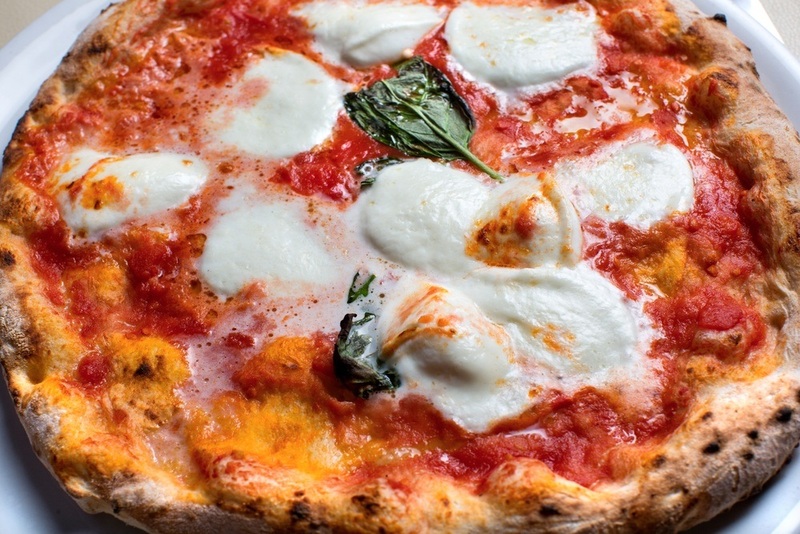 The dough will determine the flavor and texture of your pizza. A good dough will automatically give you the best pizza. You can buy from the store or make it at home. 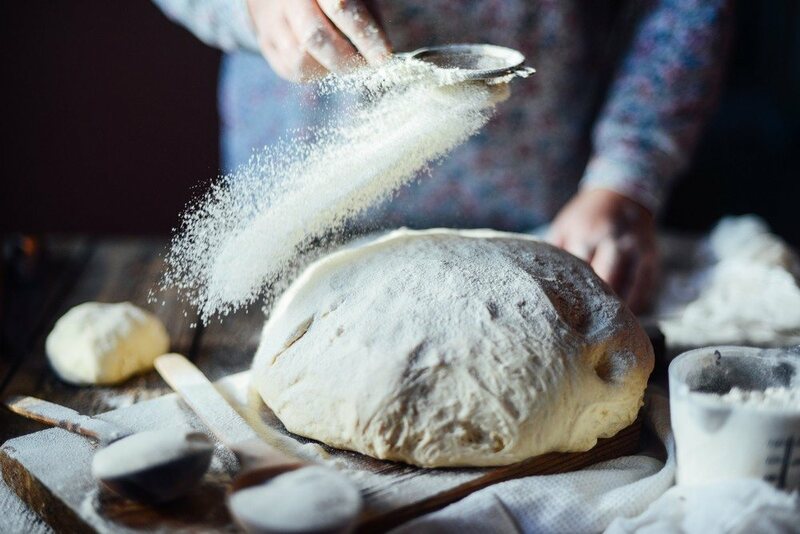 Before you use the store-bought dough, allow it to rest on the counter for about 20 minutes. If you love eating pizza, you can invest in a good pi﻿zza stone or pan. This will help you to get a crispy crust. If you are using a pizza pan, ensure that it is oiled before use. This will prevent the dough from sticking. You can sprinkle the pan with some cornmeal to get a crunchy crust. When m﻿a﻿king ﻿﻿pizza, ensure that the crust is not overloaded with toppings. If you use more toppings, the crust may cook faster than the toppings. Less is more when it comes to toppings. When making your pizza, use high temperatures. Dial up the temperatures as high as possible. 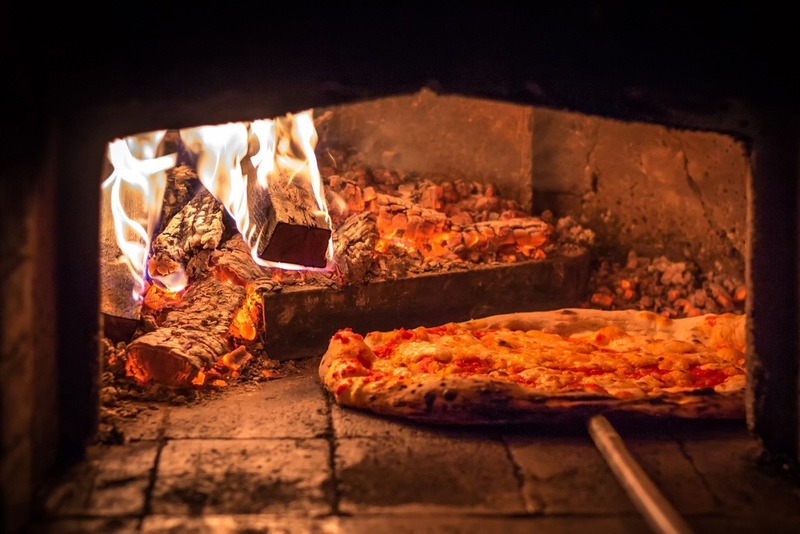 The pizza can be cooked closest to the heat source on the bottom rack. This will give the best crust. The crust should not be too thick nor too thin. The dough will rise as you bake. If you want a thin crust stretch the dough slightly thinner before you add the toppings. 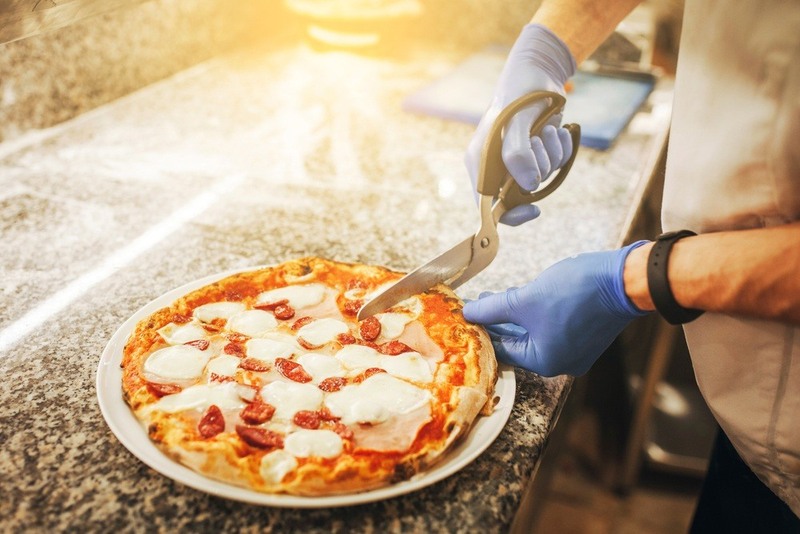 Some toppings should be precooked before use. Some of them include the ground meat, sausages, chicken, pork, some vegetables, and others. The baking time is not enough to cook the raw meat fully. 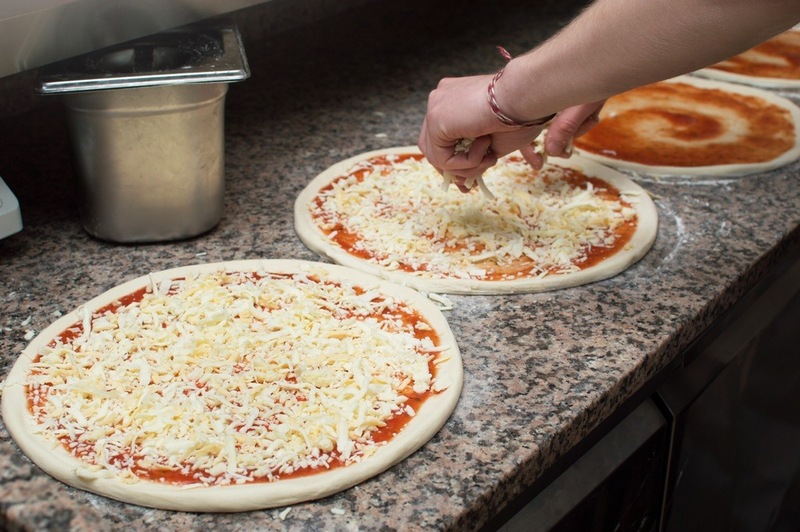 Before you take the pizza out of the oven, ensure that the crust is fully cooked. An undercooked crust is not appealing. Check the middle of the pizza too. This is because it is last part of the pizza to cook. Use a spatula to lift the pizza and check if it is golden underneath. The cheese should melt completely and start to give out brown bubbles. Clean the surface properly and ensure that it is dry. Use warm water when using yeast. This will help the yeast to react a little bit faster. 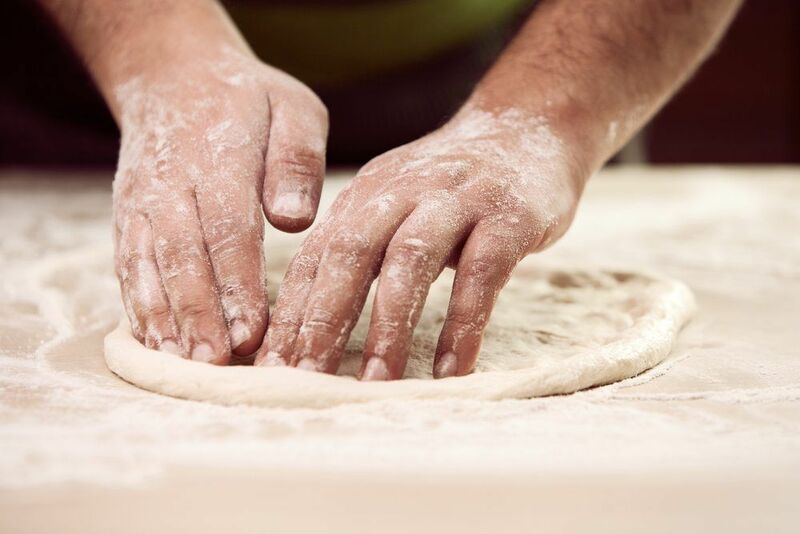 ​Kneading the dough can make a huge difference. You can knead the dough for about 10 minutes. The proteins in the flour will be released to give you a stretchy and strong dough. The dough should be transferred to a bowl for fermentation. Oil the bowls to prevent the dough from sticking. ​Cover the dough well with a damp cloth or a cling film. ​Ensure that the temperature is constant during the baking time. The sauce is made from canned tomatoes that are of high quality. It should not be cooked. All you need is a ﻿blender and a colander. Ensure that you don’t use too much of the sauce on your pizza. Strain the tomatoes in a colander over a bowl. Squeeze them to get more liquid. The accumulated juice can be kept for another use. Add the other ingredients to the tomatoes and put them in the blender. Blend them until you get a smooth paste. You can add a pinch of sugar if you like. Add the anchovy fillets and cook as you stir. After 1 minute, add the minced garlic and cook for about a minute. Add the fresh oregano and lower the heat to low. Cook for about 3 minutes. Add the red pepper flakes, the dried oregano, and the peeled tomatoes into the saucepan. Simmer the mixture and then season with sugar, black pepper, and salt. Reduce the heat to low and simmer until oil rises up and the sauce is thick. This will take up to 40 minutes. Stir the mixture occasionally. Add the baking soda and stir to mix. There are various toppings that you can use. 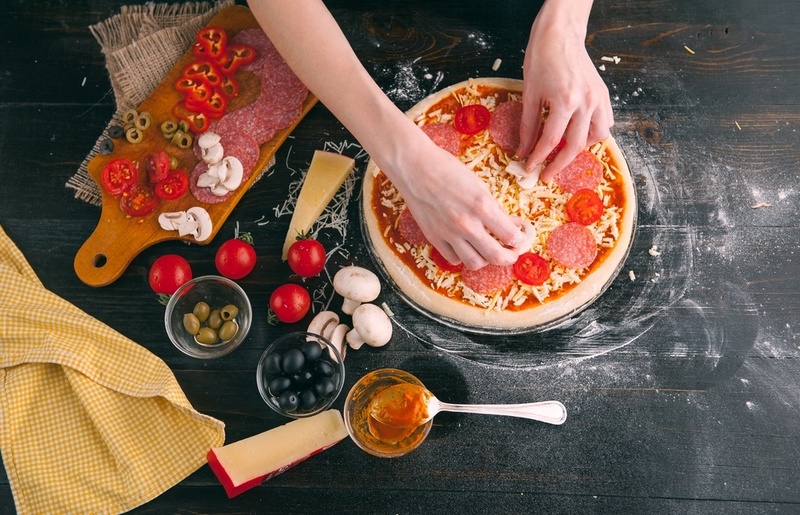 You should be creative to make your pizza appealing and delicious. It is always a must to use the tomato sauce as the base. Mozzarella cheese is ideal but you can try out other cheese. There are so many combinations that you can create at home and enjoy. Ensure that the toppings are not overloaded. 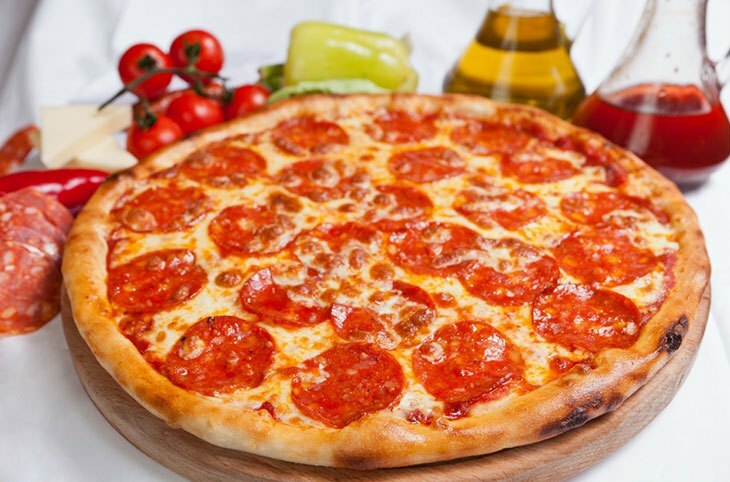 The above is a guide that will help you to make a delicious pizza at home easily. You can easily make your pizza without an oven. Some of the mistakes can be avoided for better results. When it comes to toppings, be creative and don’t use too many toppings.